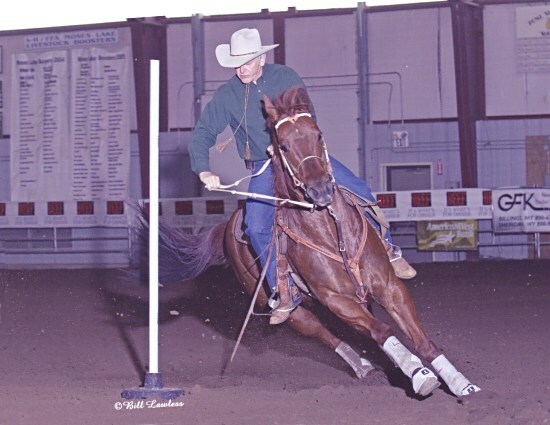 Ashes On the Money 2000 Brown Gelding 15.1, 1,100 lbs. 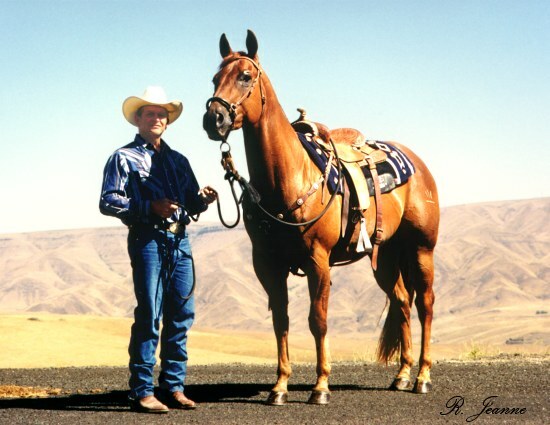 Ken Smith and Ashes On The Money won both goes and the average at the 2005 WBRA Speedhorse Pole Bending Futurity at Moses Lake, Washington. 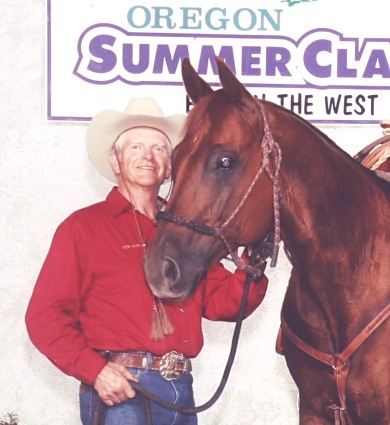 They won the Open Pole Bending average at the same event in 2006, and they swept all three runs at the AQHA Summer Classic at Central Point, OR in 2006. 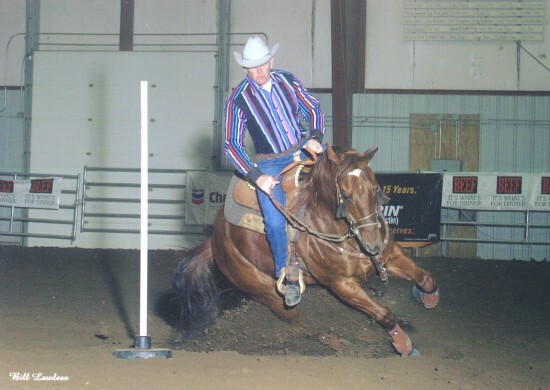 Ashes is promising to be a great pole bending horse. 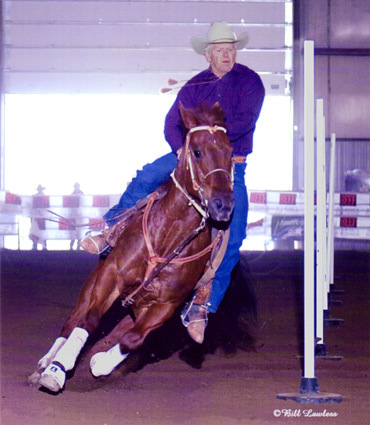 He has been trained using the method we teach at our clinics, with a correct, head-to-the-inside pattern, and he has been taught to respect the poles and leave them standing. 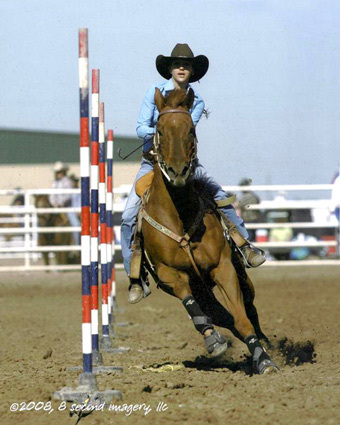 Ashes is a Flit Bar. 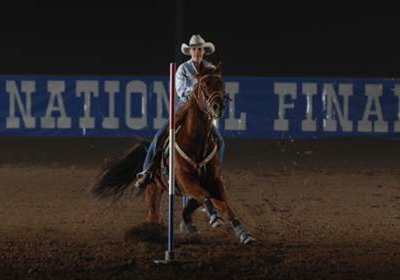 Flit Bars are known for low, smooth hindquarter turns. 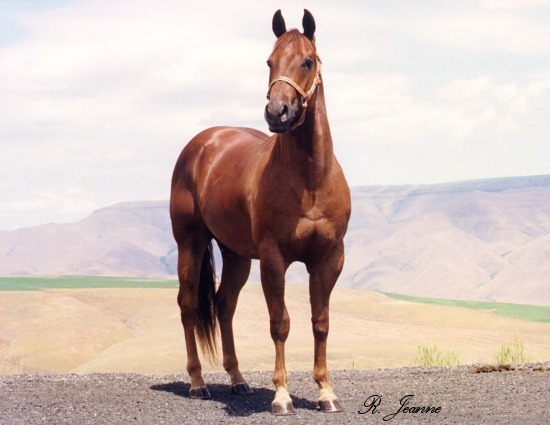 He is a half brother to Twist Kokomos Jet, the horse Pat campaigned successfully on the futurity circuit in 2000. 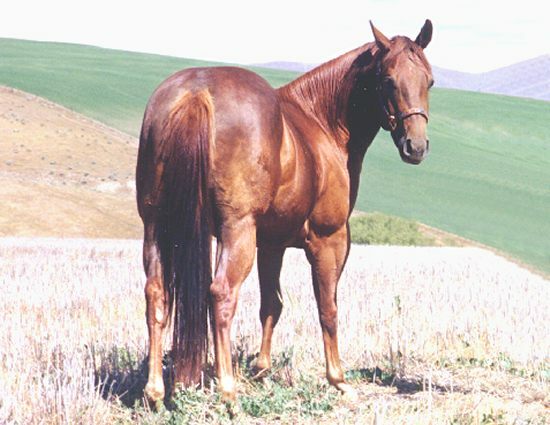 Twist was quick and sensitive, very agile, and had a great stop. 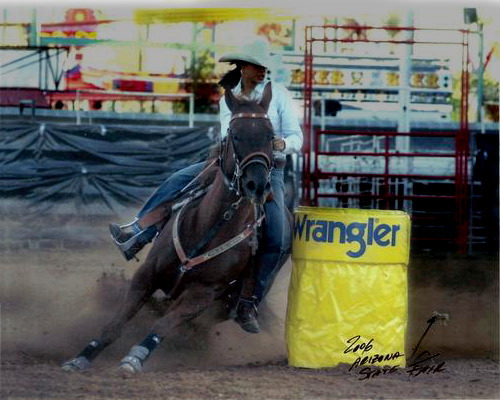 Ashes, like Twist, will naturally rate a barrel or pole when you sit down. 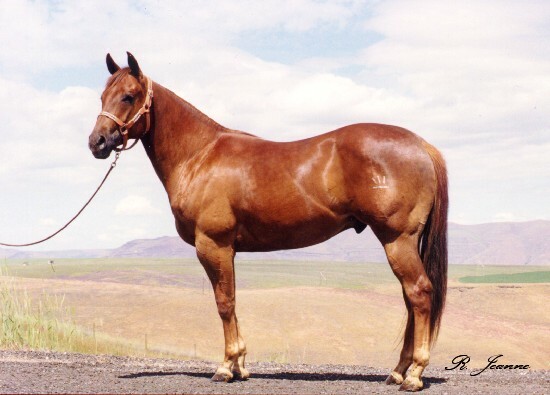 He will drop his hindquarters, and leave his front end slightly elevated, and will turn his barrels and poles in three pivots. 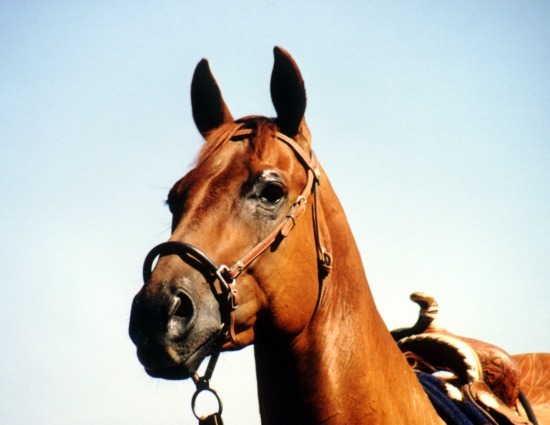 That makes him very easy to ride, very smooth in spite of his quickness. 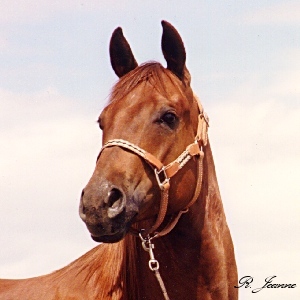 Ashes is now owned by Missy Sullivan. You will see this Arizona team winning in both poles and barrels in the big southwest 4-D races.